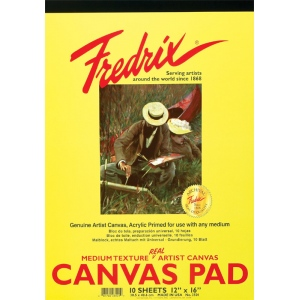 Canvas pads are great for student use and artists who want to paint studies in a pad format. * Each pad features Fredrix quality and is primed and ready to paint. * Canvas sheets are sturdy enough to be mounted when dry. * White canvas 10-sheet pad.